Former President of Nigeria, Olusegun Obasanno has written a congratulatory message to the newly elected Governor of Ekiti State,Governor Fayemi. 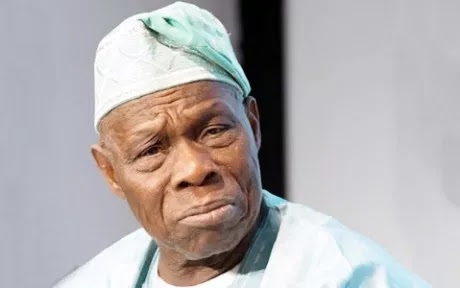 “Indeed, your success at the polls after a hard fought campaign is proof that the people of Ekiti State value your leadership and appreciate the efforts you have made thus far on their behalf,” Mr Obasanjo said in the letter dated July 15. The former President,While on transit to Beijing,China, he received the news of Mr.Fayemi' s victory,described it as a huge defeat. He added, “You will agree with me, no doubt, that the outcome of the election broadly reflects the choice of your people, who have, by their conduct, visibly demonstrated that they cherish you and will do their utmost to make you succeed". “I urge you, therefore, to reciprocate their trust by doing everything you can to strengthen their faith in democracy and in its ability to bring about improved material conditions and better service delivery to them". “You have fought and won the election and deserve to savour the victory. As you rejoice, however, I would urge that you should be magnanimous in victory and stretch a hand of fellowship to the other candidates who failed in their bid for elected office". “Such a gesture is not only charitable but should also help at this time to cool passions in the wider interest of Ekiti State in particular and Nigeria at large".